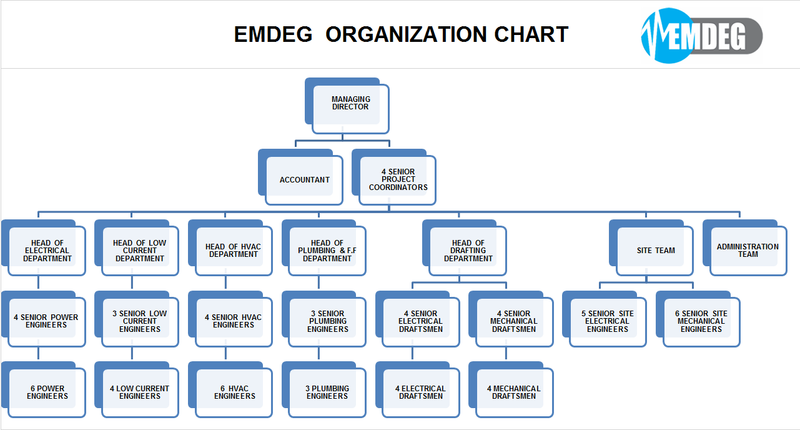 ELECTROMECHANICAL DESIGN ENGINEERING GROUP “EMDEG” was established in 1997 by Eng. 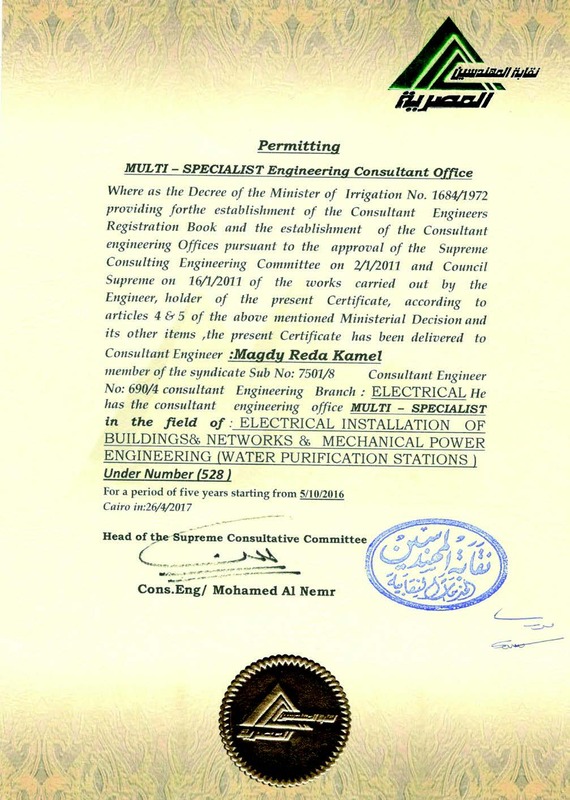 Magdy Kamel as an electromechanical design office. 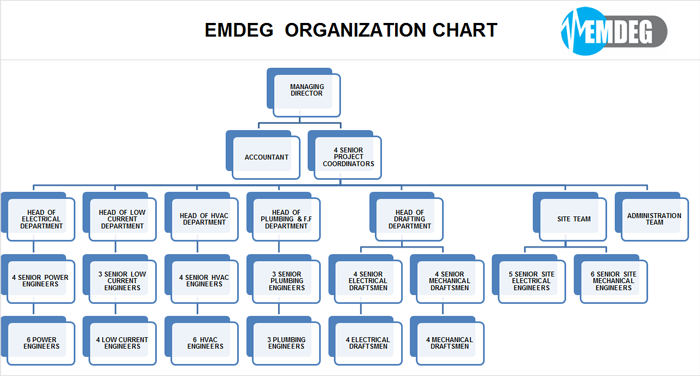 Since then it has developed rapidly, and now EMDEG is considered one of the top consultancy firms in Egypt specialized in Electrical & Mechanical works. EMDEG’s mission is to provide high quality professional services to its clients in an efficient, timely manner, with the highest standards, state of the art and economical solutions. 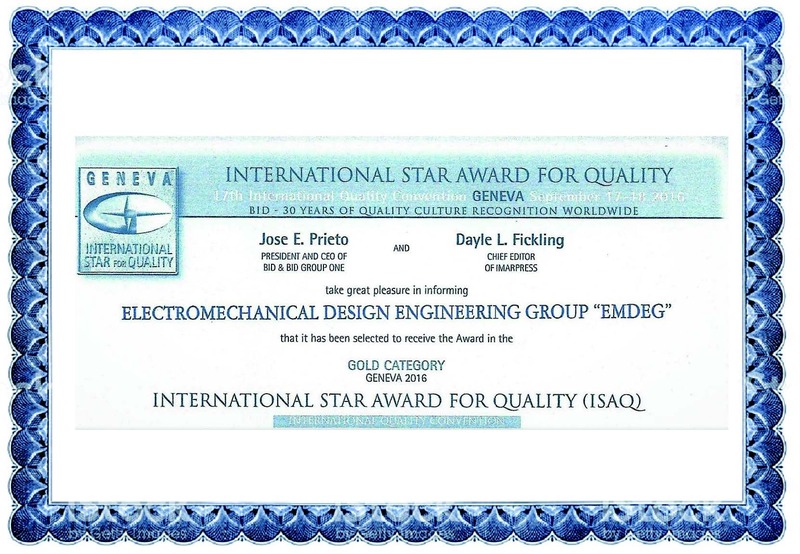 Hence for the past twelve years, EMDEG has been recognized as a highly specialized consultancy firm, providing integrated electromechanical services. With around 100 qualified employees, EMDEG has successfully executed more than 500 prestigious projects with very high proficiency and engineering excellence, presenting an impressive portfolio of electromechanical services in the national and international markets. Outside Egypt, EMDEG has carried out projects in Saudi Arabia, United Arab of Emirates, Yemen, Bahrain, Lebanon, Oman, Chad, Sudan, Kenya, Ethiopia and Zambia. Since established, EMDEG has successfully cooperated with reputable national & international consultants, architects & management firms. 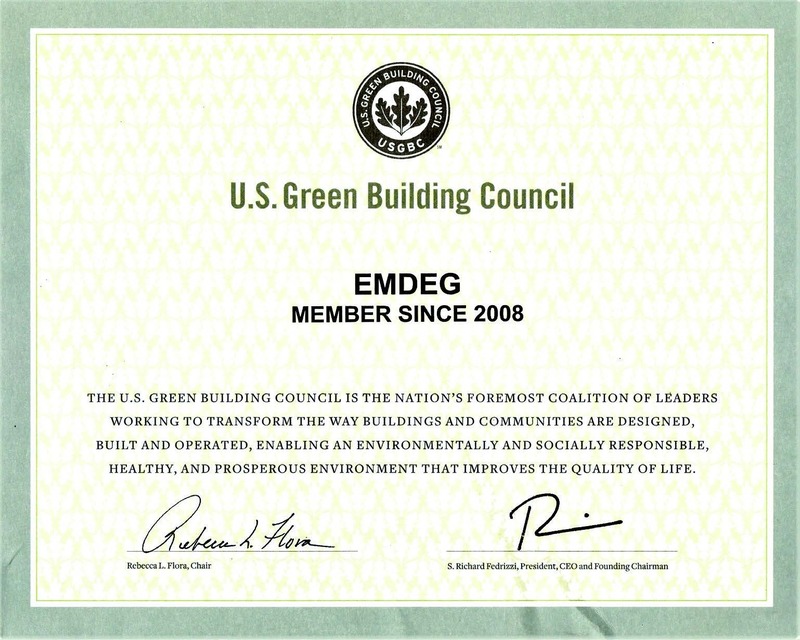 Being a USGBC certified member, EMDEG provides GREEN BUILDINGS consultancy & design services. Institute of Electrical & Electronics Engineers (IEEE). Illumination Engineering Society of North America (IES). 1976 - 1980, Electrical Engineer in the Egyptian Army (Military Service). And a part time Electrical Engineer in Consultant Office RAMZY OMAR. 1980 - 1994, Electrical Engineer, Senior Electrical Engineer & Project Manager in DAR AL HANDASAH CONSULTANTS Cairo office. 1994 - Date, Managing Director of Electromechanical Design Engineering Group (EMDEG). Cairo, Dubai, Sharjah. Ventilation and Smoke Extraction Systems. Chilled Water Central Air Conditioning Systems. All the above courses were attended at the American University in Cairo- Engineering Service Dept. Egyptian Fire Fighting Code Consultant’s Group. 1969 - 1975, Pipeline Engineer in the Greater Cairo Water Supply Organization (CWS). And a part time Sanitary Engineer in Sobhi Seddik Consulting Engineering Firm. 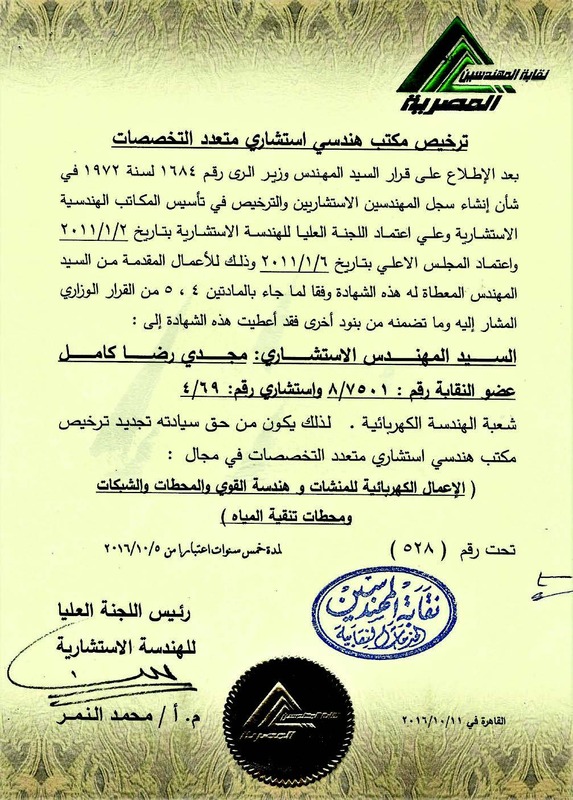 1975 - 1977, Senior Sanitary Engineer in the Greater Cairo Water Supply Organization (CWS). 1977 - Date, Managing Director of (WH&P) Cairo. Mr. Fouad has gained a good deal of experience in the field of water-related infrastructures during his 33 years of professional experience, mainly in the Middle East. Since his graduation in 1984, Mr. Fouad has been involved in the design and preparation of contract documents for various water supply, fire fighting, storm water drainage and sewage collection networks, as well as water and wastewater treatment. As a Design Engineer working in close coordination with various water/sewage authorities, Mr. Fouad has acquired a strong sense of the actual operation and maintenance difficulties usually encountered and the means for dealing with such eventualities at an early design stage.